How is the government's Help to Buy scheme performing and what are the best mortgage rates? Things sound bad. 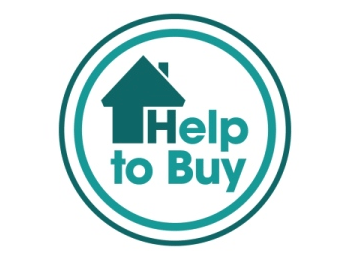 How is Help to Buy doing? Not at all. Help to Buy* has undoubtedly increased confidence in the market and created opportunities for people who didn’t previously consider themselves able to buy. More than 2,000 people have used the scheme to make offers on homes worth an average of £163,000. And the Mortgage Advice Bureau reported that 28 % of people currently need government assistance to buy a home or move. And 26 % of people looking for a mortgage in the next 12 months said they could only afford a five % deposit. So it’s safe to assume that the scheme will continue in popularity. What are Help to Buy mortgage rates like now? Halifax offers a two-year fixed rate at 5.19% with a £995 fee. RBS and Natwest offers a two-year fixed rate at 4.99%. Aldermore has a two-year fixed-rate mortgage which is priced at 5.28pc with a £999 fee. And Virgin Money recently launched its Help to Buy mortgage offering a two-year fix at 5.29% and a three-year fix at 5.39%. But, be warned, these aren’t the cheapest deals around. Of the many that beat the deals listed above in terms of cost, Furness Building Society is the cheapest, with a fee-free five-year fixed rate at 4.75 per cent. Not everyone will be able to find this on their high street though, because you can only apply for it in one of their branches, exclusively in the North West of England. Yes, a small bank called Aldermore became the first bank to offer 95% Help to Buy loans to borrowers who want to re-mortgage. It will introduce a two-year fixed-rate deal at 5.28% in return for a 5% deposit. There is also a fee of £999. Our advice is to think long and hard before re-mortgaging. You reduce the equity in your home and could set you back years in terms of eventually owning your home outright. Anything else we need to know about mortgages at the moment? Borrowing in general is about to get expensive because the Bank of England is going to stop ensuring cheap funding for lenders with its FLS scheme. The scheme has been credited with bringing mortgages to a five-year low. But as of February the funding will no longer be available for mortgages. So keep your ears to the ground for good deals early in the new year as things are set to change. How can the government help you buy a home?